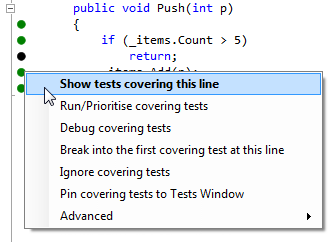 NCrunch by Remco Mulder intelligently executes your .NET unit tests in background and displays test results in-line with your code in the Visual Studio editor. 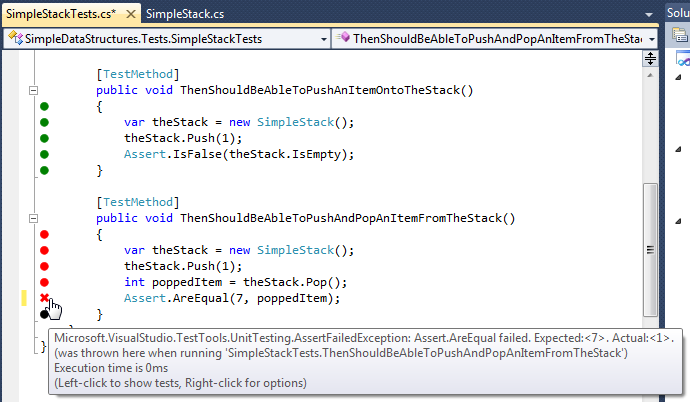 It saves you time to run tests manually and wait for their execution. 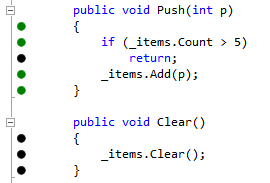 It also gives you almost immediate feedback on code correctness as you type. 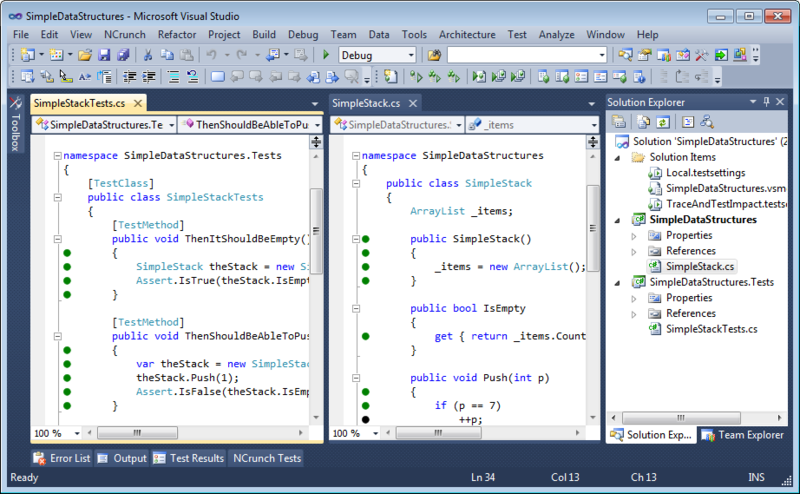 NCrunch is currently free of charge, supports Visual Studio 2008/2010/11 and NUnit/MS Test/Xunit/MbUnit/MSpec unit testing frameworks. You can download the latest installer from the official home page. This entry was posted in Reviews and tagged Visual Studio 2008, Visual Studio 2010, Visual Studio 2012, Visual Studio add-ins. Bookmark the permalink.